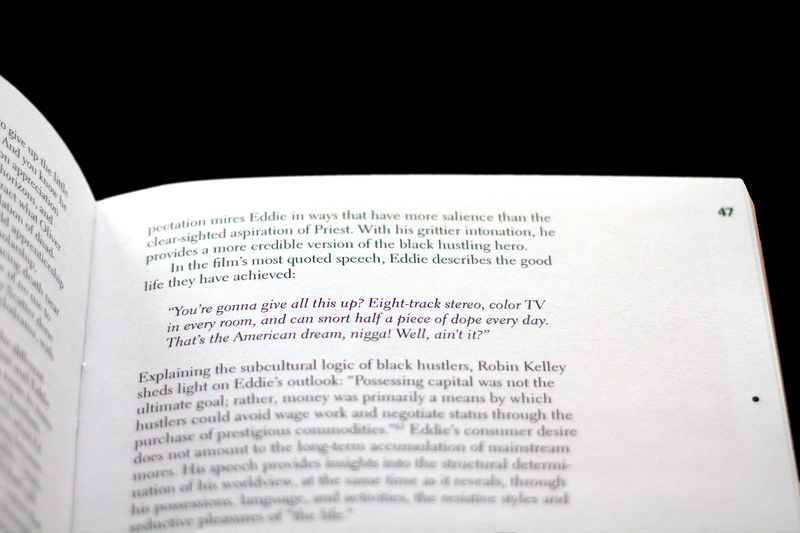 A compilation of essays discussing the era and impact of Blaxploitation film in the 1970s, Black Cherry is 176 pages of curated written and visual content. 6.5 x 9" in size, this project book takes inspiration from the psychedelic decade’s design and color schemes and is packed with original behind-the-scenes photography from the featured films. Black Cherry ends in a remixed script that combines iconic quotes from Blaxploitation films and aims to capture the exploitative and often violent language of the genre.